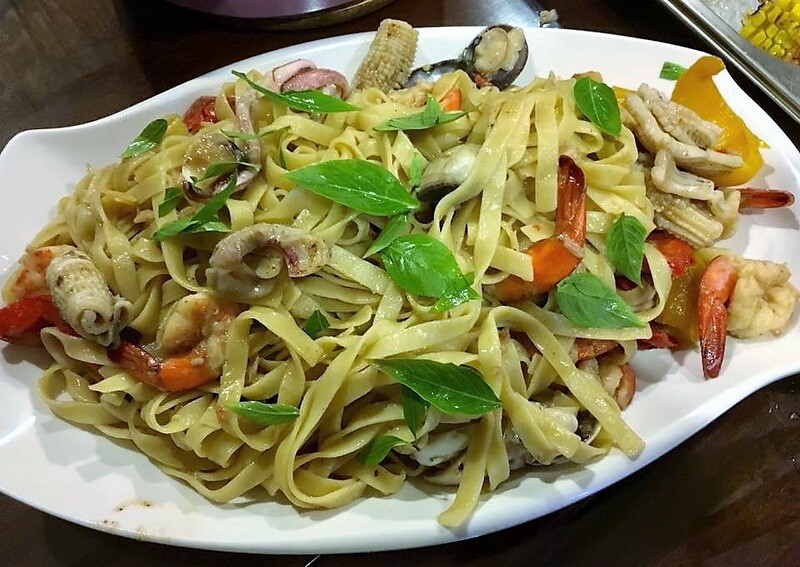 i have done seafood pasta in white wine sauce as early as 7.3.2013.
in the last year, i started using a good stock (chicken bones and carrots boiled over 4-5hrs and reduced to produce an intense chicken stock. 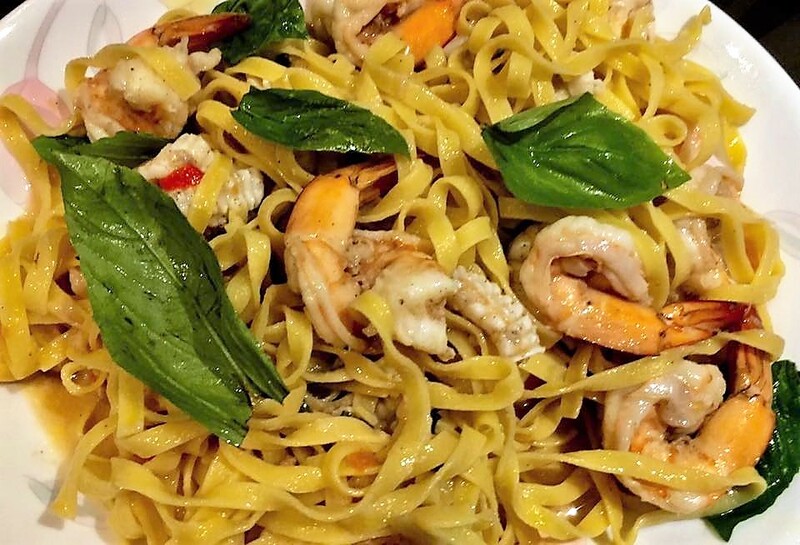 after the recent amalfi trip, where we often had fruiti mare, i did this pasta several times for my family and friends. among the best was one for 8pax family diner on 26.10.2018.
my pastas that evening were all par excellence. stock was very tasty, and pasta now always perfectly al dente. for 8pax dinner with wife’s good friend J, H and their son M on 20.10.2018, i prepared 2 pastas and a risotto. they were quite superb because of the tasty intense chicken stock.and they were all al dente. i made the pasta dishes more al dente after the recent amalfi coast trip. my children, whole family all liked it al dente. 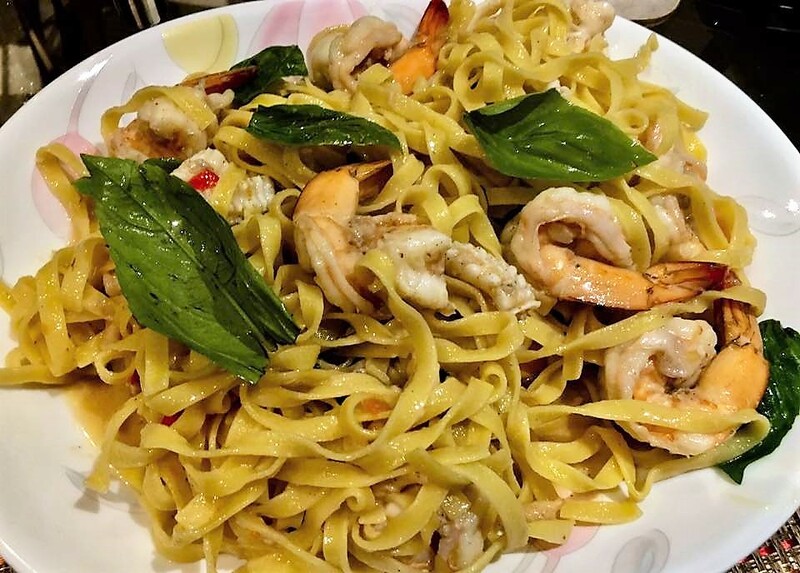 a delicious, very good tagliatelle, with prawn & squid, and basil from my garden. and after my croatia trip in apr2018, i made a 6pax croatian dinner for my RI buddies and spouses on 14.5.2018.
when serving i added the prawns & littleneck clams, then squid & covered, the added tagliatelle & tossed. 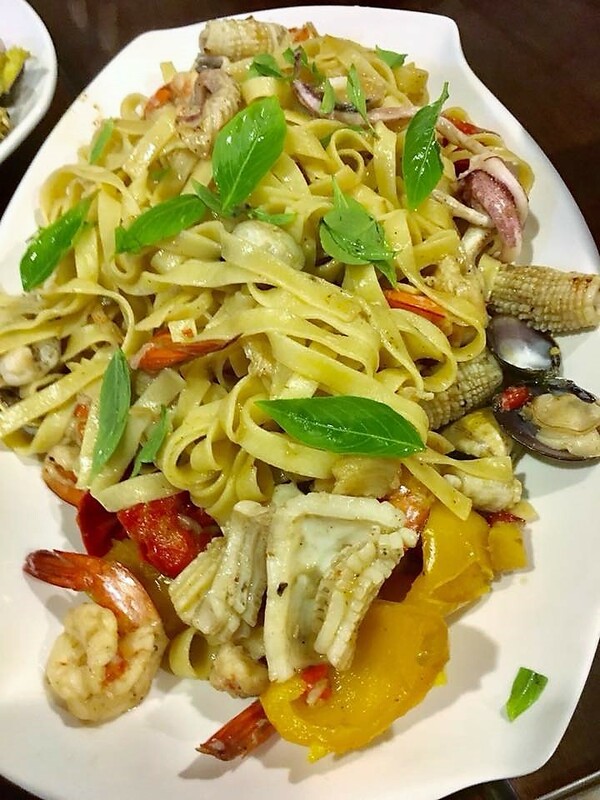 the tagliatelle fruit mare was delicious and satisfying. after my recent family amalfi coast trip, i made the pasta even more al dente but otherwise the same preparation. the recipe is below. and some tips! add the seasoned (with salt 7 white pepper) prawns & then squid to the boiling liquid till just cooked. off fire and add tagliatelle and toss, add salt to taste. add butter & mix thoroughly. 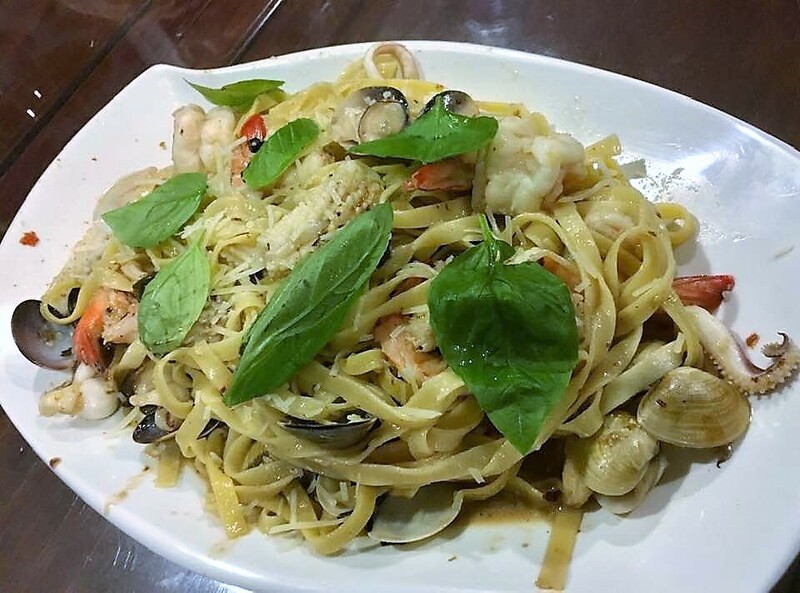 garnish the pasta with the sweet basil and serve.